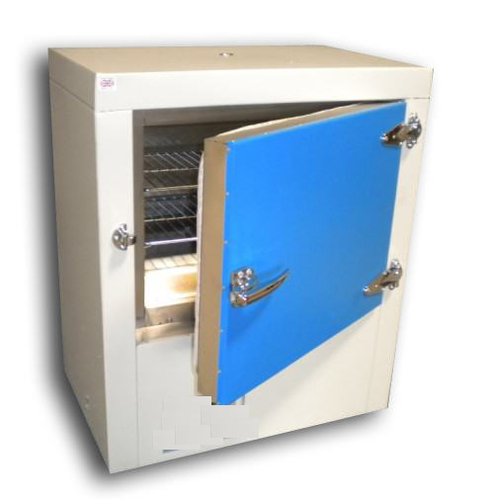 Laboratory oven memmert model. Controller with ssr powerpack with two nos of shelves. Ss door hinges and door lock will be provided. Ventilation will be on top of the oven. Motorised air circulation will be provided for uniformity of the heater. Timer will be provided which will cut the heater and horns the buzzer after the set time. Safety temp. Controller to cut the heater in case overshoot with three tray.